Take Five A Day: The Checklist Magazines! 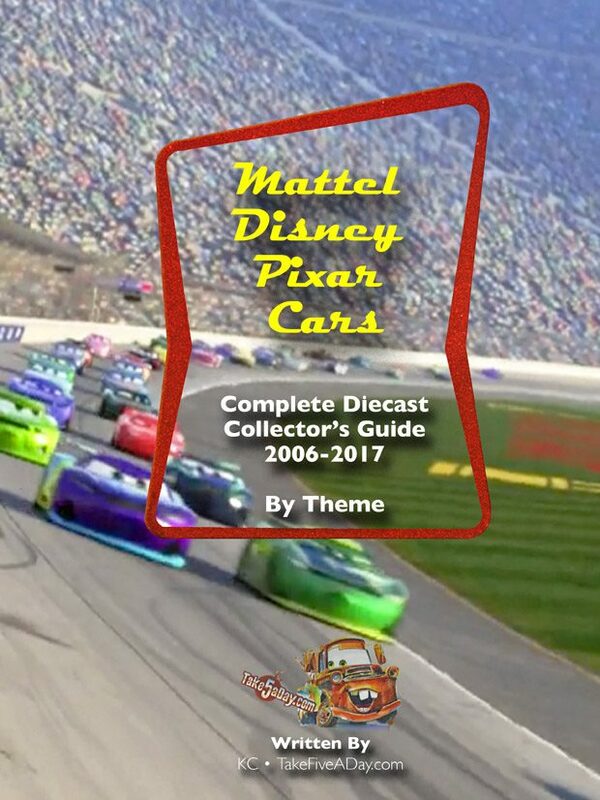 Every year, we publish a “yearbook” with EVERY single, deluxe, multi-pack, box set, exclusive, canon playsets, on card, or box set UNOPENED etc, etc … and also every CAR released that year OPEN. It is a COMPLETE recap of the year so whether you collect mint on card or are an opener, it is complete. These issues are generally completed by January or February of the following year as we wait until absolutely everything has been released. That year’s release does not always follow a calendar year so sometimes, in January we are still getting that “year’s” releases. NOTE – #7 Expanded Universe is NEXT to be updated so you may want to hold off. #8 covers just the rarest releases through 2011 which may not be of interest for most people and it was completed in 2011. (The numbered issues will not be updated as it covers years that are completed). Create a FREE ACCOUNT at MagCloud to preview ALL the pages! Once we complete the “Yearbook” for that year, we incorporate the new releases into our oeral checklists. 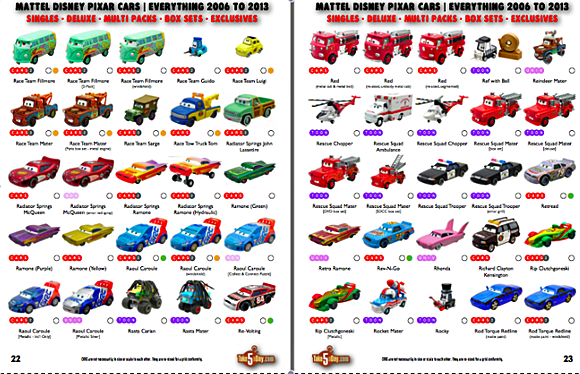 These checklists only show OPEN CARS diecast (and not on card, unopened box sets, etc … that is ONLY available in the yearbooks). If you are an opener collector or want all the OPEN photos together, we have three complete OPENER issues. 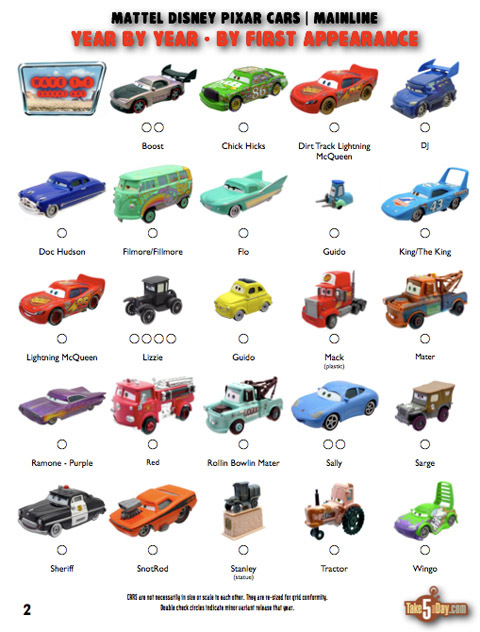 If you are collecting ONLY CARS 1 diecast, this is the open checklist for you. Click on the LINK for a preview and to order. 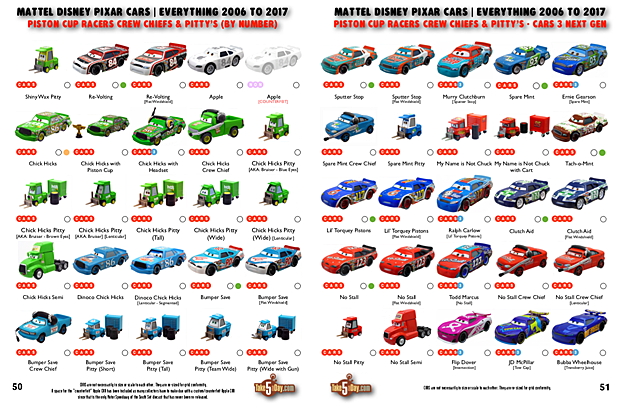 There are 2 complete open issues for ALL the CARS diecasts (CARS 1, CARS 2, Toons, Expanded Universe, etc … EVERYTHING) – one is in alphabetical order and one in year by year (chronological order). These are updated every year around March (after the yearbooks are completed) so depending on the time of the year, you can decide if you want to buy that year’s yearbook + one of the complete open character diecast issues or wait until the new one is updated in March or April. This magazine checklist shows releases by YEAR. This magazine checklist shows releases in ALPHABETICAL ORDER from A to Z. This magazine checklist shows releases BY THEME. 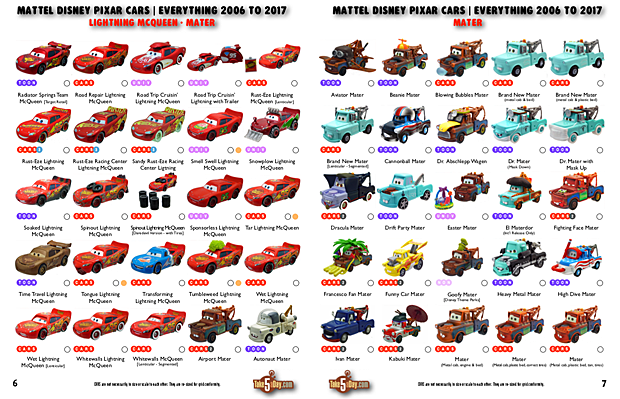 Every new diecast in the first year they appeared from CARS, CARS 2, CARS 3 Toons, Storytellers, Holiday Storytellers, mail-away exclusive and even properly scaled Disney Store CARS all together. If it was a 1:55 scale diecast released from Mattel between 2006 to 2017, it’s ALL here in the THEME format. AFTER 1,600+ RELEASES, is it WET LIGHTNING MCQUEEN or SOAKED LIGHTNING MCQUEEN? this guy has a camera, is it HOUSER BOON OR HOOMAN? How can this be HYDRAULIC RAMONE if he’s not “hydraulic” – now just look it up BY THEME. You can preview all the issues here. Click on each issue and then on PREVIEW to flip through the pages. MagCloud also offers DIGITAL versions of all the checklists. These are printed on-demand and 100% secure as you are purchasing directly through MagCloud who will print and mail them directly to you. We do not see your transaction. They contain the EXACT same information and photographs – the only difference are the Amazon versions are more “book” like with heavier stock covers and Amazon offers free shipping. Available with FREE SHIPPING from Amazon in the US. Also available in the UK and elsewhere in Europe. For those collecting card singles and mint in box unique releases, we have compiled the first 5 years of single cards and unique in box releases into ONE CHECKLIST. Thanks for your support of T5! 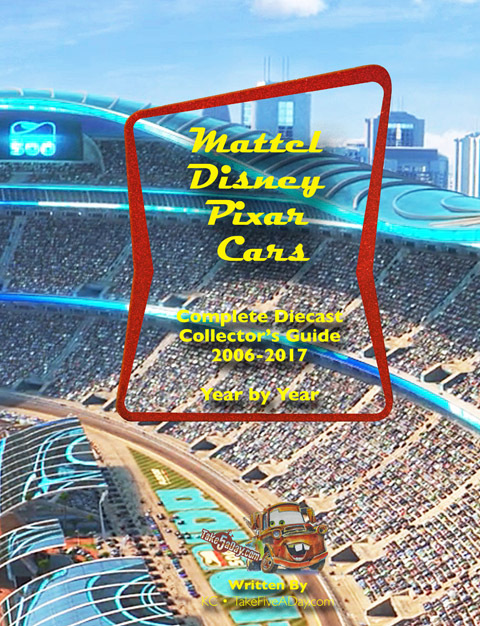 Or the Mattel Disney Pixar CARS Character Encyclopedia – Written for DK Publishing. Im just wondering how much the cars are each? It wont let me click on the email link. How much does a full set of the custom team usually go for? (MET: Right now, Magcloud only ships to US, Canada or the UK – sorry – hopefully Europe coming soon!). Haulers, Launchers, Car Toons etc. are non-existent here! Anyway, thought I would just introduce myself and comment that I find this site extremely cool & informative although most times I read with envy the stuff you guys have available in the states! i am also new to this site and living in the sunny state of Queensland in Australia the shelves are barren for any of the cars that i have left in the collections that i am attempting to gather. the only way i have been able to collect any in series 1, 2, 3 or 4 is via ebay and the next step if i am unable to find the rest of my collection this way is via a few internet sites that i have found in america, the only thing holding me back is the postage and handling costs they want to charge me. can anyone tell me if there is such a thing as a purple ramone in the ROR mega size range, and number 12 in the ROR hauler range (don’t know his name but he is a green hauler with 82 shiny wax on the side of him) as i have been searching every where and can’t seem to find them. Hopefully someone can assist me on my quest. Found a Lightning McQueen, a Mater, and a Cow Tractor at a garage sale. 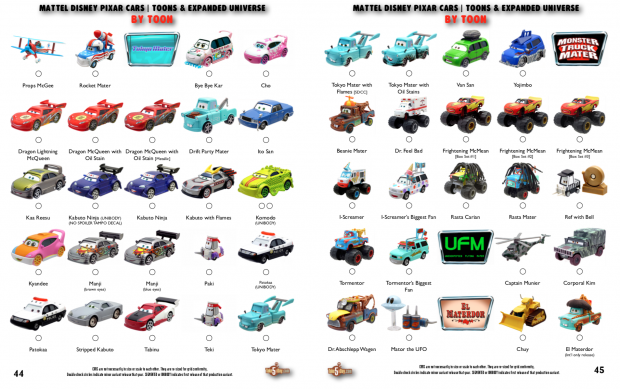 The LMQ and Mater are metal, each about 8 inches long and 4 inches wide with hard plastic wheels that roll. The tractor is spring loaded so that when you pull back on it, it tips backwards and races forwards making a snoring sound. I would love to find more CARS like this, but I can’t find any of a similar scale anywhere! Does anyone know what I have and if there are more characters available? I have photos that I can send to help identify. 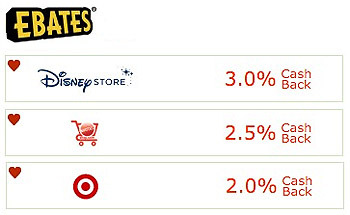 The best thing I can tell you is to visit these websites to find stores nearest where you’ll be. I’ve input the Zip Code for LaGuardia Airport (11369) to get you the nearest stores. i’m a french guy, it’s the first time isend some words on this excellent web site. Excuse my bad english, but i will try to be ths most understable i can. 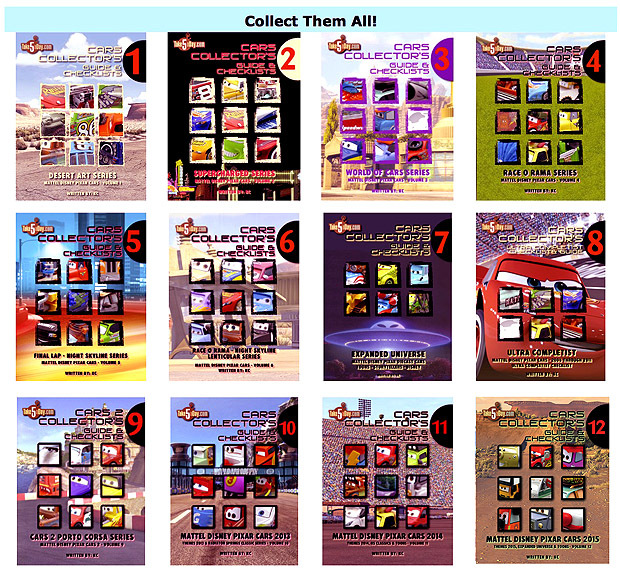 So, i ‘am collecting cars vehicule, like most of you. But in my country, you won’t find all the items you can have in your country (i’m talking about the usa). 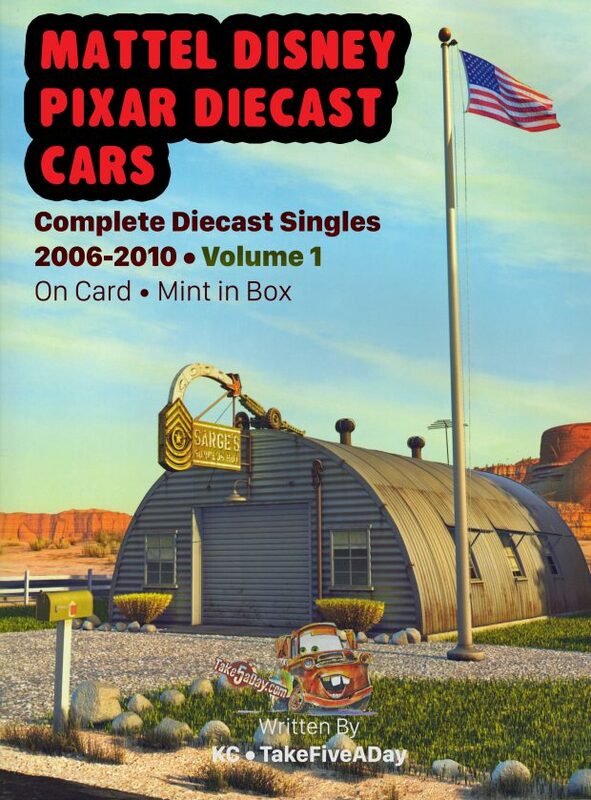 But i’am a lucky guy, i will travel in New york this october, so i would like to know where i have to go if i want to find some disney die cast cars. I know i have to go to time square, toys’r’us’ ! But can i easily find any other good shop where i could get somme precious cars. Thanks for those who will giving me some good adresses ! Men! the gold mcqueen ! i just can’t wait ! 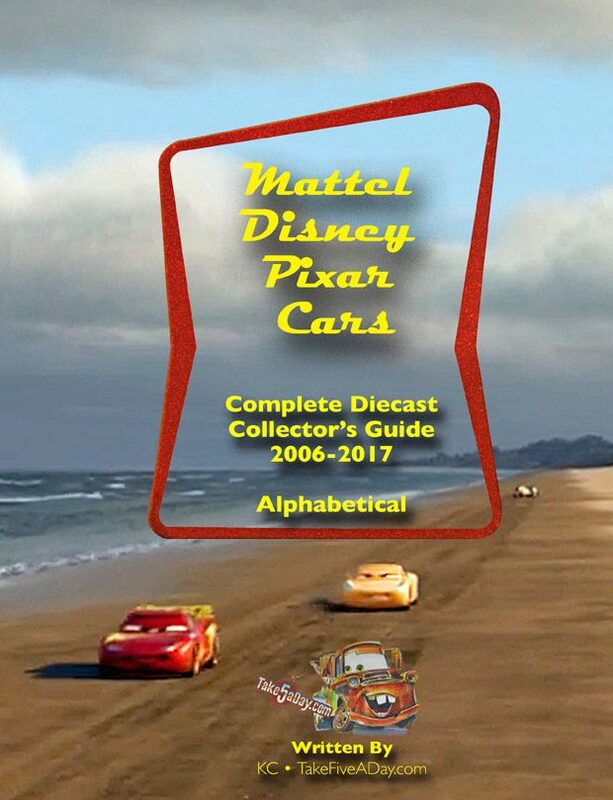 (MET: Depending on when you show up in October – Mater Tall Tales will be out along with the “classics” line … yea, TRU in Times Square is usually stocked the best … no Targets in NYC and no WM’s … you can also coordinate to have things sent to your hotel or with friends. Good luck!). Hi I live in NY and get definetely have some car that you are looking for when you visit. Jack would be the guy for you, but if ever in Los Angeles- I will help. Nous avons ici grand peuple pour vous aider.